This waiver is valid ONLY at the Gilbert location. Please do not print a copy except for your own personal records. This waiver is only valid for the Gilbert location. READ CAREFULLY AS OUR WAIVER INFORMATION MAY HAVE CHANGED! FAILURE TO ADHERE TO THIS POLICY, FRAUDULENTLY SIGNING OR FORGING A DATE OF BIRTH WILL RESULT IN A VOIDED PLAYER WAIVER AND A NEW WAIVER MUST BE COMPLETED WITH MANAGEMENT. 1. Inform staff if I have any physical illnesses like asthma, epilepsy or migraines which may be affected by the use of fog, audio or lighting used to enhance game play. 2. Acknowledge that even the most experienced players can be harmed as there is a chance of injury inherent in the sport, such as by running into props, climbing on walls, falling, running into other players, slipping on the floor or stairways, being struck by weapons/bullets/equipment and by the actions of other players. I ASSUME ALL OF THE FOREGOING RISKS AND ACCEPT PERSONAL RESPONSIBILITY FOR ANY INJURY, DISABILITY, DEATH OR OTHER LOSS THAT MAY RESULT FROM MY PARTICIPATION IN GAME PLAY OR FROM SAID ACTIVITIES. I RELEASE, WAIVE, DISCHARGE AND COVENANT NOT TO SUE GATEWAY TRIANGLE DEVELOPMENT, LLC., BKB ENTERPRISES, LLC AND/OR ANY OF ITS STAFF (HEREAFTER THE "RELEASEES") FROM DEMANDS, LOSSES OR DAMAGES ON ACCOUNT OF PERSONAL INJURY, DISABILITY, DEATH OR DAMAGE TO PROPERTY THAT I MAY SUFFER FROM MY PARTICIPATION IN OR OBSERVATION OF AIRSOFT AND RELATED ACTIVITIES THAT ARE CAUSED OR ALLEGED TO BE CAUSED IN WHOLE OR IN PART BY THE NEGLIGENCE OF ANY OF THE RELEASEES, OTHER PLAYERS, THIRD PARTIES AND/OR BY THE FAILURE, MALFUNCTION OR USE OF EQUIPMENT, WEAPONS OR FACILITIES. 3. Allow referees and staff to search my personal bags and equipment for unlawful equipment, outside foor or drinks, non-house bbs, dangerous equipment, illicit materials, drugs, alcohol or property of BKB Enterprises, LLC DBA VIPAirsoft. I understand that discovery of any of these items may result in their confiscation, permanent or temporary, or my expulsion from the facility without refund. 4. Obey ALL safety rules posted and expressed by staff. I assume full responsibility for my actions or neflect to abide by these rules. Staff may list additional rules which are not posted on signs or online. 5. Agree to utilize the breach doors properly as instructed by staff. Failure to do so and/or tampering with the doors in any manner may result in injury. Tampering with the breach doors to the point of damage will result in the player providing financial compensation to replace the damage door as well as their inability to use the breach doors in the future at any VIPAirsoft locations. 6. Obtain legal court recognized guardian or parental consent to participate if I am under the age of 18. 7. Not sue or make claim against Gateway Triangle Development, LLC or BKB Enterprises, LLC and staff. I also agree to hold the listed harmless from all claims, judgments, costs, including attorney fees, incurred in connection with the participate or observation of airsoft or other related activities within the facility. 8. I understand that failure to abide by field rules may result in legal action against the player should it result in injury to another person, deliberate damage to BKB Enterprises, LLC property or state and federally required safety equipment. Should it be found that any of the players listed herein deliberately damaged fire safety equipment resulting in fees and fines, that/those player(s) and/or the adult signee within this waiver will be financially responsible to cover any and all costs incurred by BKB Enterprises, LLC and/or Gateway Triangle Development, LLC and may face additional legal implications with the town of Gilbert, responding Fire Department and/or local law enforcement. I grant permission to VIPAirsoft to use my/any child listed herein's image (photograph and/or video) for use in VIPAirsoft publications including video, email, brochures, pamphlets, newsletters, advertising, social media and to use my/any child listered herein's image in electronic versions of the same publications or on the VIPAirsoft website. I hereby waive my right to inspect or approve the finished photograph, media or other electronic matter that may be used in conjunction with them now or in the future, whether it is known to me or unknown and I waive any rights to royalties or other compensation from or related to the use of the image. I understand and agree tothe following in order for myself and/or the players listed in this waiver toutilize arecording device including but not limited to: GoPro, Contour and cell phones. 2. VIPAirsoft Arena and its staff holds the right to remove any video footage from the memory of the recording device at any time should VIPAirsoft deem that the footage could pose harm or defamation to players and/or staff or utilizes a player or staff member's full name. 3. VIPAirsoft Arena and its staff holds the right to request the removal of any damaging or dangerous footage that is posted on my or any player listed on this waiver's social media outlets including but not limited to YouTube and Facebook. 4. VIPAirsoft Arena and its staff holds the right to take legal action against the poster of the footage if I/they refuse to remove the damaging portions of the video, full names of other players in the video or the entire video as requested by VIPAirsoft Arena. I understand that I will be responsible for any and all legal fees incurred by BKB Enterprises, LLC, Gateway Triangle Development, LLC, VIPAirsoft staff and/or parents and players within the footage in question. 5. Any player or parent who sees the video and finds it to pose a threat to their safety or is defamatory to their character holds the right to request the video be removed. 6. If I or a player listed on this waiver becomes combative or aggressive in regards to the rules herein with VIPAirsoft Arena staff or other players, I am aware that the memory for the day from the recording device will be deleted and I/anyplayer listed on this waiver will be barred from using a recording device any further for the remainder of my/their stay at VIPAirsoft Arena. I understand and agree that if I and/or any player listed on this waiver are unable to abide by the rules set forth above, that I/any player listed on this waiver will be barred from utilizing any recording devices while on the grounds of the VIPAirsoft Arena facility until further notice. Players must use an airsoft gun that speed tests at or below our field regulation limit of 350fps with house required 0.20g bbs and be approved for use by a VIPAirsoft staff member. If the player is not equipped with personal equipment meeting this critera, the player will need to purchase a rental gun at their own cost or have our technicians perform necessary alterations to bring the gear in question to speeds within these regulations at cost to the customer. Always wear proper eye protection in and around the staging area - even for observation. Always keep face protection on during game play. Keep you gun pointed in a safe direction (up) with your finger OFF the trigger and magazine out while within the staging area. Leave all live-fire weapons outside of the staging area. Observers are included in this rule. VIPAirsoft is not liable for any injury incurred by a player's failure to wear adequate protective clothing nor is VIPAirsoft required to provide protective clothing upon player arrival nor allow a player within the field if they are not dressed appropriately. 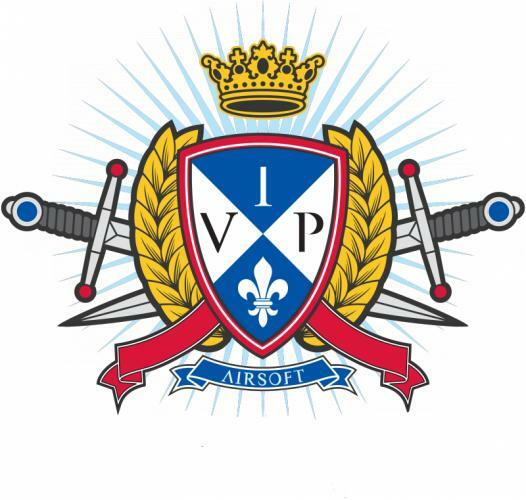 VIPAirsoft is not responsible for theft of personal property and holds the right to refuse service to any customer. For the health and safety of our players, observers, customers and staff, the use of e-cigarettes, vaporizers, smoking devices, and drugs are prohibited within our facility. The use, sale, attempted sale or possession of drugs or alcoholwill result in immediate detainment and law enforcement will be contacted. Any threat of physical harm to another player with mention of a weapon will result in immediate detainment and the involvement of law enforcement regardless of whether the threatening player is serious or not. The player in question will henceforth be permanently banned from all VIPAirsoft locations. Any action of physical harm to another player will result in the removal of the offending player from the facility, contact of a parent or law enforcement as necessary as well as the potential for temporary or permanent ban from all VIPAirsoft locations. VIPAirsoft and its staff retain the right to separate players into any team configuration deemed appropriate for the given play time for any reason at any time. If a player is found not abiding by the facility rules and therefore risking the safety of others; referees or staff members may ask the player to do any of the following at their discretion: exercises including but not limited to: push-ups and wall sits, sit out for games, temporarily or permanently ban the player or ask the player to leave without refund. Please note that any of these measures may be employed as determined by the rule broken and the amount of reminders and issues the players has already had. The above measures may occur in any order deemed appropriate by staff. You do not need to print and bring in your copy of this waiver. We have moved to an electronic waiver as an effort to go green and lessen the amount of printed paper our company produces. Once you submit the waiver, it will immediately update into our electronic system. Electronic submission of this waiver does not guarantee a valid player waiver on file upon arrival. Acceptance of this waiver is subject to the provision of correct and valid information. BY SIGNING THIS WAIVER, YOU ARE GIVING CONSENT TO THE ABOVE IN ITS ENTIRETY AS WELL AS ANY FUTURE ALTERATIONS OR UPDATES TO THIS PLAYER WAIVER. YOU ARE ALSO TAKING FULL LEGAL AND FINANCIAL RESPONSIBILITY FOR ALL PLAYERS LISTED WITHIN THIS WAIVER AND WILL BE HELD LEGALLY AND FINANCIALLY LIABLE FOR ANY AND ALL DAMAGES, INJURIES, INCIDENTS AND/OR FINES INCURRED BY ANY OF THE PLAYERS LISTED HEREIN. VIPAirsoft Arena, BKB Enterprises LLC, Gateway Triangle Development, LLC and all staff therein are not responsible for any incidents, accidents, damages, or injuries should this waiver be fraudulently signed by someone other than the player(s) listed above's parent or legal guardian. Should it be found that a player forged a signature to gain entry into the facility, their waiver will be immediately removed from the system and they will not be allowed back into the facility without the express agreement of a parent and a waiver signed by a parent or legal guardian in witness of a VIPAirsoft staff manager. The signer of this waiver is hereby expressly responsible for any and all liability risks in regards to any and all players listed within this waiver. The signer of this waiver will furthermore be considered as legal guardian to any and all players listed hereinfor the purposes of this liability waiver during the players' stay and any future visits of any and all players listed herein. Parent(s) or Court-Appointed Legal Guardian(s) must sign for any participating minor (those under 18 years of age) and agree that they and the minor are subject to all the terms of this document, as set forth above. Please note: the signer of this waiver is responsible and will be held liable for any and all damages, injuries or costs incurred by the players herein during the validity of this waiver during their stay within our facility.